There is no question that employees are the most important asset of any organisation and, much like any other type of asset, when employees are overworked they are unable to do their best work. When employees are overloaded with work or unable to take time away from their jobs, they can become exhausted, overworked, and stressed. These feelings and physical symptoms rapidly trickle down into the quality of their work and can also affect their health, their relationships with co-workers, and their customer interactions. According to a study by Qualtrics, nearly half of UK workers are overwhelmed by their workloads, and more than two-thirds say their work causes them stress. Additionally, more than half of UK workers believe that their organisation does not promote a healthy work-life balance. These results reveal that organisations need to do more to support their employees in achieving a reasonable workload and a healthy work-life balance. Helping employees achieve a healthy work-life balance is an organisation’s reasonability, but employees are a great resource to help employers understand how to achieve it. Employees have a first-hand understanding of their work-life balance, the challenges they’re facing, and can provide input on how to make improvements. An employee survey or focus group can be useful to understand where the challenges lie in achieving work-life balance. 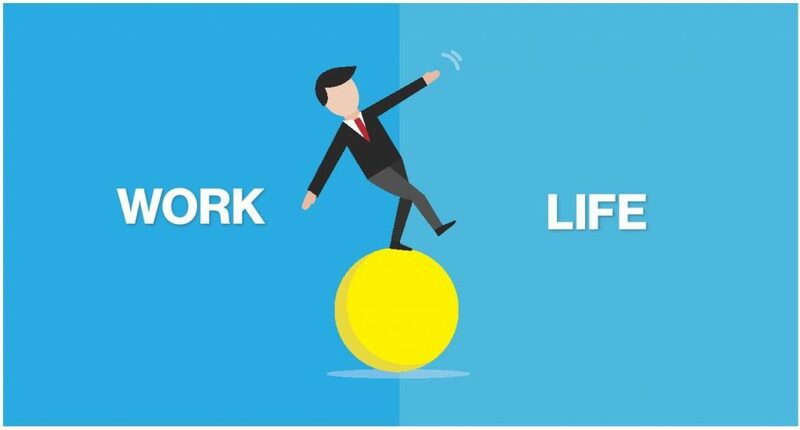 For example, long work hours, a lack of flexible scheduling, or unreasonable performance metrics are all barriers to achieving work-life balance. Focusing on problem areas will allow the organisation to implement solutions to real problems that employees are facing. One of the best ways to promote healthy work-life balance is to teach employees why it’s important. Consider offering sessions that explain what work-life balance is, why it’s important, and how it can be achieved. It’s also important to provide resources on work-life balance that are continuously available so that employees can access them on their own time. Providing education can give employees the tools they need to help themselves achieve a healthier work-life balance. Organisations play a critical role in ensuring the health and well-being of employees and identifying burnout is an important responsibility. Most employees will attempt to push through periods of stress and are not likely to admit when they’re overworked. This means that it is up to the organisation and its managers to watch for signs of burnout including absenteeism, decreased job performance, and physical symptoms of exhaustion. When these signs are identified, organisations have a responsibility to provide support. Flexible working hours can be a great way to encourage work-life balance. Providing employees with the freedom to set some or all of their working hours allows them to better balance their lives outside of work. They have the ability to do their work when they are more productive while being able to follow through on personal commitments that fall during traditional work hours. Encouraging telecommuting or working from home is another way that organisations can provide employees with more flexibility. Many people question whether remote workers can be productive but, in fact, studies show that employers who allow telecommuting two days per week realise a 20% increase in productivity, save 15% in real estate costs, and see a 7% reduction in absenteeism. Providing employees with flexible working arrangements demonstrates that an organisation trusts its workers and is invested in their well-being. A critical part of work-life balance is physical health and wellness. Long work hours often force employees to sacrifice physical fitness. If employees are frequently working long hours, it’s likely that they return home exhausted and do not have time to prioritise exercise. Employers can play a role in the physical health of employees by partnering with fitness centres near the office, having onsite fitness facilities, organising team sports activities, or bringing in fitness experts to facilitate classes. Even simple changes like holding walking meetings can help promote work-life balance and overall wellness. Healthy mental fitness plays a critical role in overall well-being. Giving employees the time and space to pursue creative projects, or perform their work differently, can give them a better sense of control over their work and also foster innovation. Providing comfortable workspaces that are an alternative to employees’ regular desks can provide them with a sense of workplace freedom and balance. An organisation can tell employees that they support work-life balance, but their actions need to prove it. If employees are given time off but are too busy to use it, work-life balance is being provided, in theory, but it will not be achieved. Managers need to lead by example by limiting their own work hours and valuing their own personal time. If employees see that their leaders are investing in their own well-being and work-life balance, they will feel comfortable doing the same. Most conversations surrounding work-life balance are focused on the employees and how they can better set boundaries and priorities. However, employers have a key role to play in encouraging work-life balance and in investing in the health and well-being of their employees.